Fine Line in association with Rough Fiction and Park Theatre. ___ The distance between us can grow without taking a single step.Steven, recently separated and heading towards divorce, bumps into an old friend on the journey to a job interview. A complex recent past and a fragile present collide, as Steven tries to make sense of the world around him and his place within it. We accelerate headlong into Steven’s chaotic and troubled inner life, as the everyday encounter unravels into something dark, disturbing, and unrestrained. 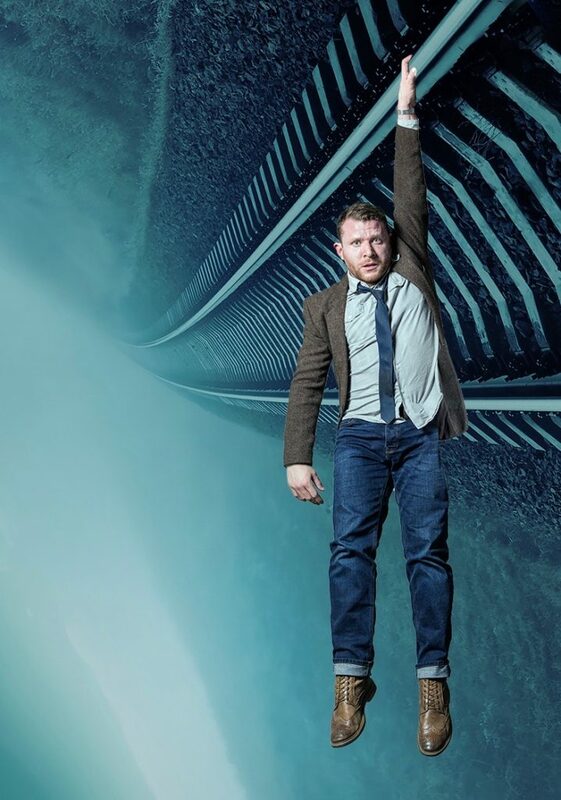 Following the acclaimed Out Of The Cage (Park Theatre), Fine Line, Alex McSweeney, and Simon Pittman, return with this powerful contemporary story, to bring you an emotionally gripping, darkly funny, and visually dynamic portrayal of the mind. DISTANCE was developed on the Park Theatre Script Accelerator programme and was kindly supported by Arts Council England, The Royal Victoria Hall Foundation, Stage One, as well as mental health charities Mind, CALM and The Stuart Low Trust.